The newly announced Sony RX100 VI Cyber-Shot features a ZEISS® Vario-Sonnar T* 24-200mm lens, 24fps continuous shooting mode, and what Sony says is the world’s fastest AF speeds in its class. 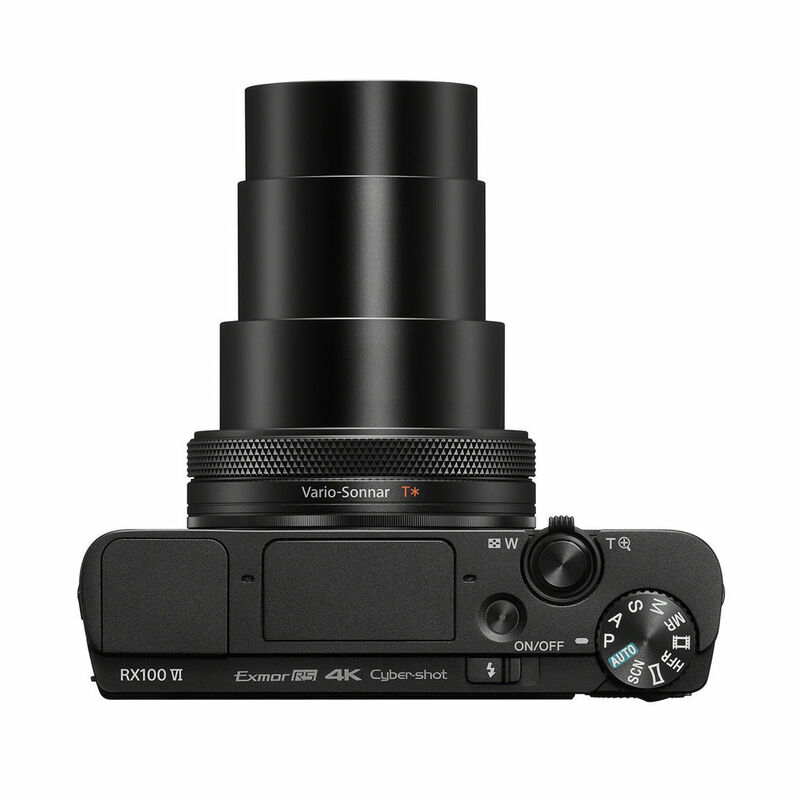 The RX100 VI features a 1-inch, stacked 20.1-megapixel Exmore RS CMOS sensor with an improved BIONZ X image processor allowing for a continuous shooting rate of up to 24fps, better low light performance and faster AF/AE detection. As mentioned, the RX100 VI offers 24fps at full resolution with full AF/AE tracking and is capable of buffering up to 233 photos at a time. The Hybrid AF system utilizes 315 phase-detection points covering 65% pf the frame and can acquire focus in as little as 0.03 seconds (THE world’s fastest AF time for 1.0-type sensor cameras). The RX100 VI is also the first RX100 camera to use High-Density Tracking AF concentrating AF points around a subject helping to improve both tracking and accuracy. Be ready to take on the world. This pocket-sized compact comes with no-compromise high-zoom performance and super-fast AF, so you can capture every opportunity that comes your way—just the way you want—and fully unleash your creative self-expression. 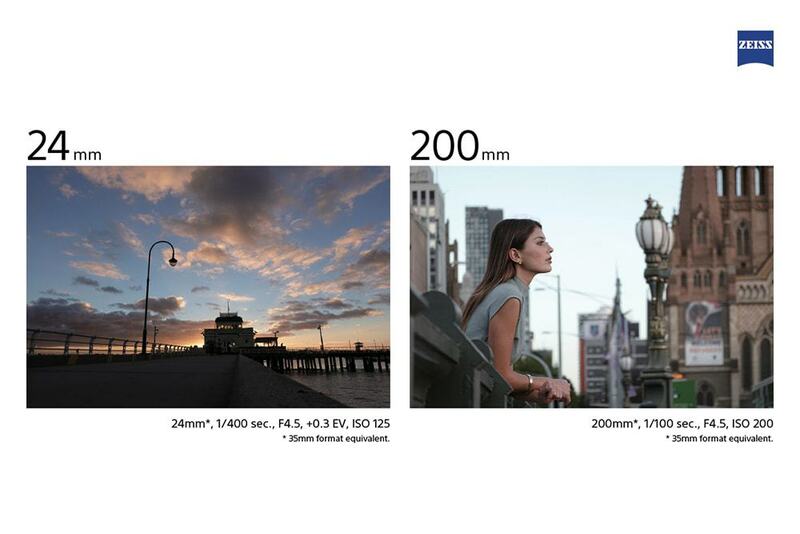 Unlike the previous RX100 V, which featured a 24-70mm lens, the new RX100 VI features a ZEISS® Vario-Sonnar T* 24-200mm f/2.8-4.5 with 4-stop optical image stabilization. The lens features two ED (extra-low dispersion) aspherical glass lenses and eight aspherical lens elements including four AA (advanced aspherical) lenses that work together to deliver corner-to-corner sharpness at all focal lengths. On the back for the camera body you will find a tiltable LCD touchscreen that tilts up and down (180° upwards and 90° downwards) but unfortunately, doesn’t swing out to the side or rotate. The touchscreen also allows users to select focus points by dragging a finger across and then tap the screen to capture the photo. If you don’t want to use the touchscreen, there is also a 2.35-million-dot XGA OLED Tru-Finder electronic viewfinder that pops up from the top of the body. If you want to record motion rather than stills, the RX100 VI can shoot 4K video with full pixel readout and no pixel binning. There is also a 4K HDR feature (a first for Cyber-Shot cameras) that uses the built-in Hybrid Log-Gamma picture profile. Other video features include: S-Log3/S-Gamut3, 120p Full HD mode, Picture profile as well as 240fps, 480fps and 960fps slow motion modes and proxy recording. 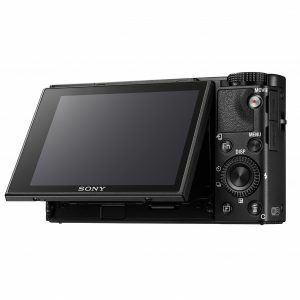 The pocket sized Sony RX100 VI will be available in July and will set you back about $1600.00 CDN when it arrives.